Home » Posts tagged "FSA"
Only four or five U.S-trained Syrian fighters remain on the battlefield against ISIS militants, the top U.S. commander in the Middle East acknowledged Wednesday in the face of withering criticism from senators who dismissed the training program as a “total failure” and demanded a change of strategy. Gen. Lloyd Austin told the Senate Armed Services Committee that the U.S. is looking at better ways to deploy the Syrian forces, but he agreed that the U.S. will not reach its goal of training 5,000 in the near term. If the Pentagon shifts course to focus on training small numbers of fighters, it would represent a reversal. The military has criticized the Central Intelligence Agency’s lackluster covert effort to train Syrian rebels as ineffective because it produced too few fighters. When the Obama administration shifted the main training program to the Pentagon, the military sought to train 5,000 Syrian rebels by year’s end. 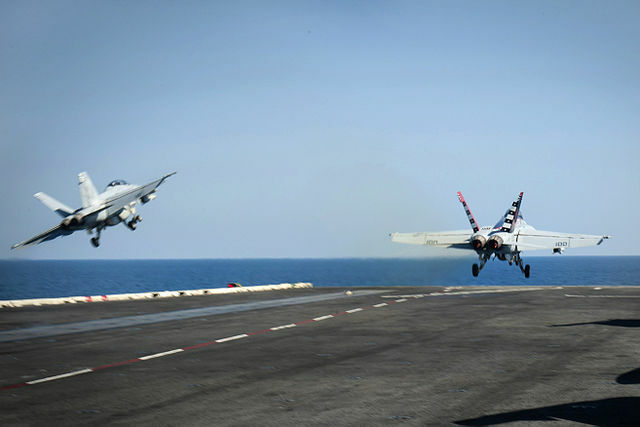 But the program has been slow to get off the ground and the first group of 54 fighters to enter Syria this summer was quickly routed by rival fighters. Under one proposal being crafted at the Pentagon, the $500 million train-and-equip program—a core component of the U.S. Syria strategy—would be supplanted by a more modest effort focused on creating specially trained militants empowered to call in U.S. airstrikes, defense officials said. But at least we had wasted it *before* the Russians bombed the last few guys. Al Qaeda’s Nusra Front took care of that. “The talk of a buffer zone surprised us – we have heard nothing like that,” said Munthir Sallal, a rebel official co-ordinating with the coalition who said rebel commanders met Turkish officials in Ankara yesterday. An opposition activist close to the US confirmed plans for increased Turkish participation with the coalition, which began dispatching the first rebel units it trained and armed earlier this month. The coalition has also been training activists from opposition councils in areas seized by IS to ensure a smooth transition to civilian rule. Hurriyet Daily News: “Turkish army reluctant over government will to intervene in Syria”. An alternative version of that headline might be: Caretaker Turkish government without parliamentary mandate tries to start a doubly illegal war in Syria. Military politely declines request. Maybe back off on this, AKP. It’s not like you were rushing to invade Syria when you had a parliamentary majority at any point during the last four years of war. Now you don’t even really control the government because it’s an interregnum during coalition talks and you’re suddenly picking a fight with the military to dare them to defy you — as they probably should in this case. Why would you do that? Probably, in case fresh elections are called, so you can re-engage the ranks of anti-militarist voters who appreciate the AKP’s efforts to curb military meddling in Turkey’s politics and defiance of civilian authority. Chief of General Staff Gen. Necdet Özel has delayed the government directive with justifications of international law and politics and the uncertainty of reactions from the Bashar al-Assad regime in Syria, as well as from its supporters Russia and Iran, together with the United States. The military does not want to get into a major military action on the directives of the Justice and Development Party (AK Parti) government which lost its parliamentary majority in the June 7 elections. The coalition talks to form a new government with either the Republican Peoples’ Party (CHP) or the Nationalist Movement Party (MHP) will start next week and if a new government is formed in weeks’ time, the directive which might lead to a war could be obsolete. It is a fact that if the CHP becomes a coalition partner, which is more likely, that Turkey’s policy on Syria and ISIL could change. Generally fairly solid reasoning, I would say. The elected civilian leadership should be paramount to the military leadership in virtually all circumstances, but this is an exceptional situation: after elections and before the formation of a new government. Launching a non-defensive war of choice is probably not within the current government’s authority. Therefore the military is probably making a reasonable point in stalling here. Plus, the conditions in northern Syria since at least April primarily have tipped in favor (at least temporarily) toward the anti-government rebel forces most closely aligned with Turkey, with the exception of Syrian Kurdish fighters who are doing their own thing and not really causing a true emergency for Turkey either (despite the Turkish president’s fearmongering). So there’s no apparent, genuine urgency now, relative to any other moment in the past six months. Turkey’s military is right to urge patience and a new government before making any huge decisions like invading a neighbor engulfed in civil war. – In November 2014, the CIA-trained and armed Harakat Hazm fighters in Syria got into a confrontation with Nusra Front, al Qaeda’s official branch in the Syrian Civil War, and basically fled the battlefield, abandoning their U.S.-supplied anti-tank weapons to the extremists. – By late December 2014, Nusra Front had taken effective control of all major insurgent operations not aligned with ISIS. All “moderate” and “pro-Western” forces essentially joined forces with Syrian al Qaeda or were cut loose from the action. Rebels, including members of U.S.-backed groups and al Qaida’s Nusra Front, captured the strategic town of Jisr al Shughur in northwest Syria on Saturday, the second major setback for the government of President Bashar Assad in Idlib province in a month. The latest rebel victory came surprisingly quickly, apparently aided by U.S.-supplied TOW anti-tank missiles. Islamist groups announced the battle only Wednesday. Videos posted on social media showed that U.S.-supplied TOW missiles played a critical role, destroying dozens of government tanks and vehicles. 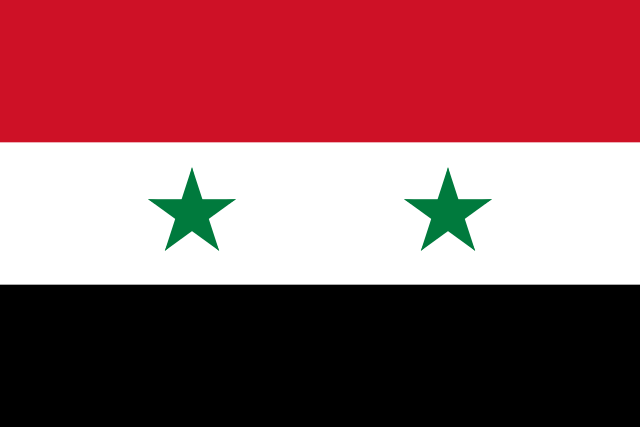 The opposition run Masar News Network reported that rebel forces captured dozens of regime troops as well as three tanks and three other armored vehicles. The U.S. in recent months has severed relationships with some moderate rebel groups that had surrendered weapons to Nusra. Video posted on social media Saturday showed fighters from two major groups that still receive U.S. support, Division 13 and the Sukur al Ghab Brigades, participating in the fighting, including firing TOWs. “Teamwork!” he cried, sarcastically, as he thought about how great it is to be a taxpaying adult in the U.S. and to have the ‘opportunity’ to covertly fund heavy arms for extremist groups in Southwest Asia, just like his parents got to do in the 1980s. “These are definitely not policy actions that will ripple back negatively later in my lifetime,” he added, cynically predicting the opposite of his words. 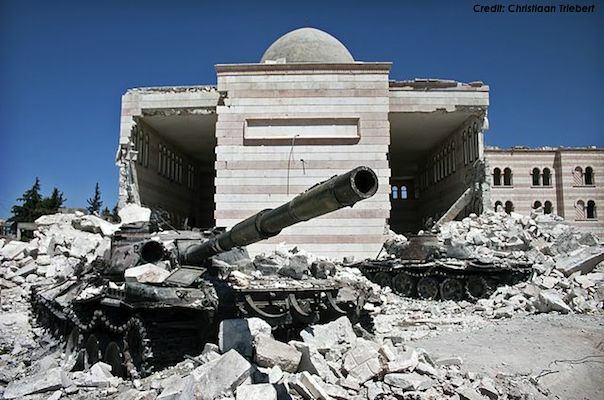 Will the U.S. become the Syrian rebels’ air force? The U.S. will provide Toyota Hi-Lux pickup trucks to some Syrian rebels that will be equipped with machine guns, GPS devices and radios. The rebels can use the radios to call in airstrikes carried out by American B-1B bombers, as reported by the Wall Street Journal. Mortars and more sophisticated anti-tank weapons may be provided as well. Oh boy, this should work out great, based on our track record of arming the CIA’s private rebel army in Syria, Harakat Hazm, whose easy battlefield defeat resulted in Nusra Front (Syrian al Qaeda) getting anti-tank weapons. Except this time it’s an even greater move, because now some of these incompetent rebels will be able to call in American airstrikes on god-knows-what, probably triggering an accidental war with Bashar al-Assad or some dramatic escalation. Kimberly Kagan, founder of the Institute for the Study of War, said providing air support for the rebels is critical. But, she said, if the Obama administration doesn’t target the regime’s forces as well, it will inadvertently empower other extremists in Syria. To re-state: Those favoring coordinated air support want the U.S. to attack the Syrian government directly. As the article notes, even if this somehow didn’t lead to U.S. entanglement in Syria itself, it would certainly derail all the progress with Iran — both in Iraq’s war with ISIS (and problems with factionalism) and directly on nuclear negotiations. The fall of the army base at Wadi al-Deif, which straddles an important supply route in Idlib Province, proved the Nusra Front’s dominance, they said. Other insurgents had long besieged the base without victory. Nusra succeeded after seizing much of the province from Harakat Hazm and the Syrian Revolutionaries Front, two of several groups that until recently, American officials were calling the opposition’s new hope. Those groups had received sophisticated American-made TOW antitank missiles, and their commanders expected to act as the ground force in the American-led campaign against ISIS. But lately they say the flow of American aid has dwindled as Washington’s strategy shifts to building a new force from scratch. How exactly the Wadi al-Deif battle unfolded remains murky, with different commanders giving different versions. But reports and images from the operation make two things clear: antitank missiles were used, and Nusra claimed the victory. That means that the American-backed fighters could advance only by working with the Nusra Front, which the United States government lists as a terrorist group, or that they have lost the weapons to the Nusra fighters, effectively joined the group or been forced to follow its orders. One commander of a group that received antitank missiles said that some F.S.A. fighters were forced to operate them in the battle on behalf of the Nusra Front, which had captured them from American-backed groups — a turn of events that he worried would lead the United States to cut off support. Maybe I’m biased in favor of seeing what I want to see (because I’ve been opposed to intervention and as opposed to the rebels as the regime for 2.5 years now) or maybe I’m just reading slanted sources. But the more I keep reading about what’s going on in Western Syria, the more open I am to considering that the regime might actually be the real lesser-of-two-evils at this point, even if they didn’t start out that way. Is the regime criminal and horrific? Yes absolutely. But probably not more so than the rebels, who at this point are the ones really dragging out the misery for civilians, through direct cruelty and indirectly by refusing to concede a severely lost cause. Did the regime wildly mishandle the first year-plus of the war, to everyone’s detriment and pain? Agreed. Is the regime viscously sectarian, as critics still maintain? Yes, but so are the opponents.